I’ll be honest: I’ve done a lot of traveling. I’ve spent months living overseas and seen more than 40 of the 50 states of the course of two 10,000-plus-mile road trips. 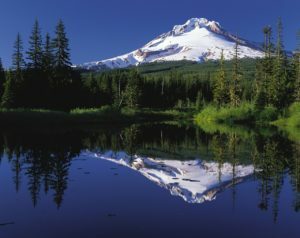 That said, Oregon is always close to the top of the list, the kind of state I could see myself one day moving to. 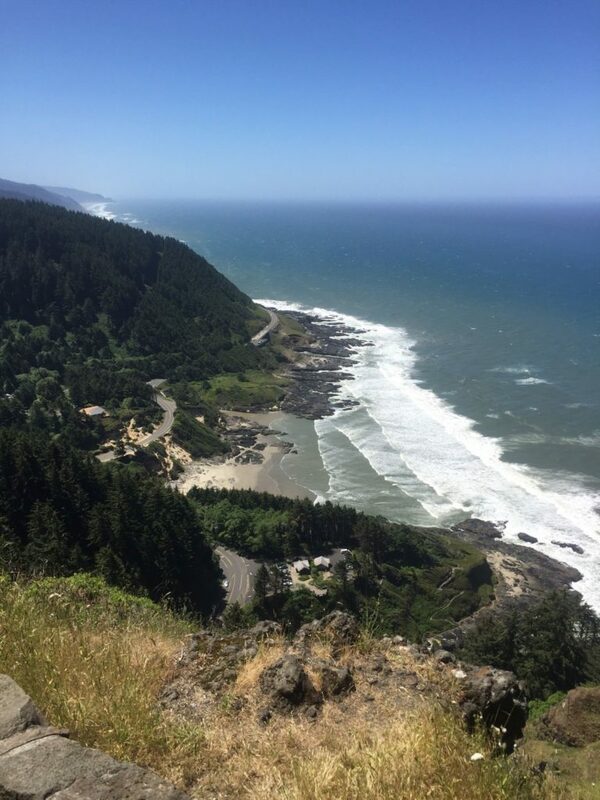 And if you’ve yet to take an Oregon road trip, it’s high time you go and see why so many people are so devoted to this Pacific northwestern gem for yourself. As you’re planning to travel Oregon, you probably won’t be surprise to learn that we think an RV is the very best way to see the state. When you hit the road in a motorhome or travel trailer, you’ve got the very best of both worlds for your Oregon vacation: the flexibility and freedom of a traditional road trip, and the comfort and convenience of having your very own place to stay! But no matter how you find yourself in the Beaver State, here are a few spots not to skip in your itinerary. The dream of the 90’s is, indeed, alive and well in Portland, and you’ll find no shortage of hip, progressive 20- and 30-somethings taking advantage of its endless restaurants, breweries, and greenways. 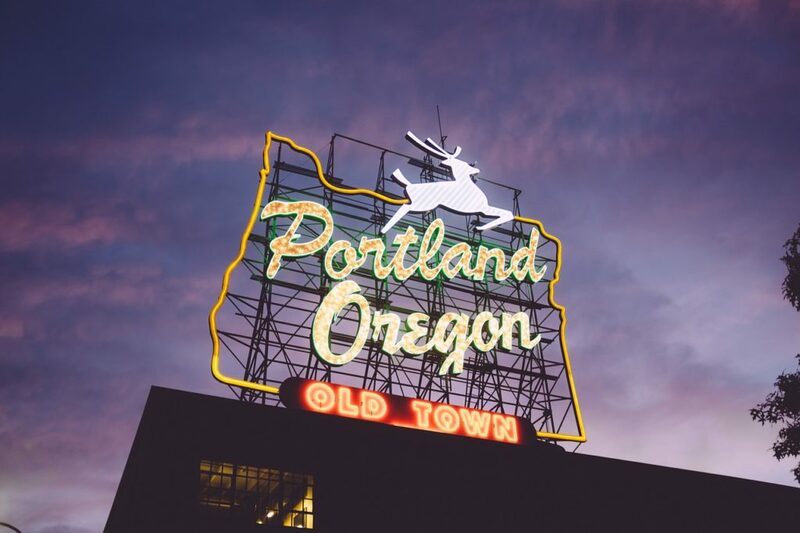 But even if you’re not usually into urban environments, Portland is a city worth visiting — if only for its proximity to so much natural beauty. Within an hour’s drive, you have the Columbia River Gorge, which offers miles of hiking and multiple waterfalls, the most famous of which might be Multnomah. There’s also the Mount Hood National Forest, which offers, of course, the mountain itself… but also a more relaxing outdoor excursion for those not given to steep climbs. Sit back and soak at Bagby Hot Springs, where you can get a free private tub, so long as you arrive early enough. And, of course, the town itself is chock-full of can’t-misses. There are tons of things to do (and eat!) in Portland, from Voodoo Donuts to the Farmers Market — which is one of the largest and longest-running in the country. End the day by kicking back with a lovingly-crafted brew or sampling some delicious wines grown in the nearby Willamette Valley. When I visited Crater Lake — a stop I made basically by accident, having never heard of the park while growing up in Florida and deciding to swing by when I saw it on my map — I couldn’t help but eavesdrop on the woman next to me. She was on the phone, tears silently slipping down her cheeks. I just don’t understand, she said. This color of blue shouldn’t exist. She was right. This stunning lake, the remnants of a burnt-out volcano caldera, is the deepest in the U.S.A… and it’s a color you won’t find anywhere else in the country. Or maybe even the world. 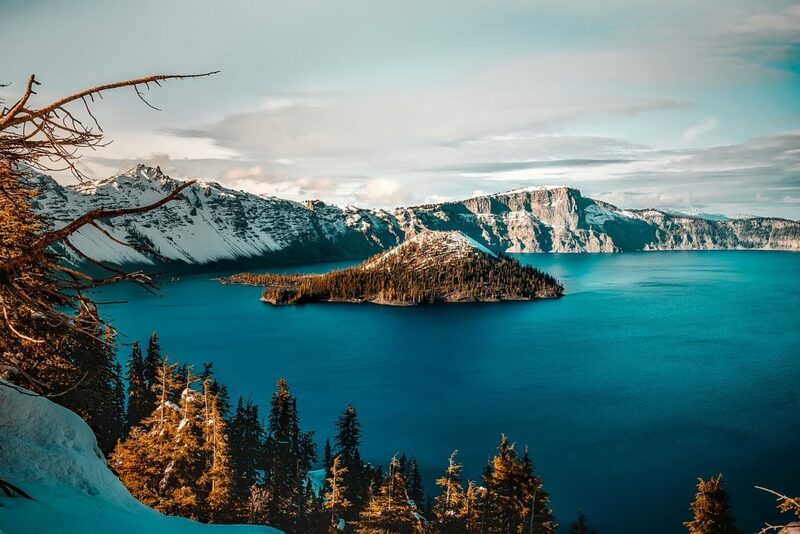 Either way, Crater Lake National Park is well worth visiting, whether you stay a while to hike and bike its trails or simply stop by to take a look down into the azure depths. Click here to see RVshare rentals near Crater Lake. You know how Portland is where all the hip kids were moving ten years ago? 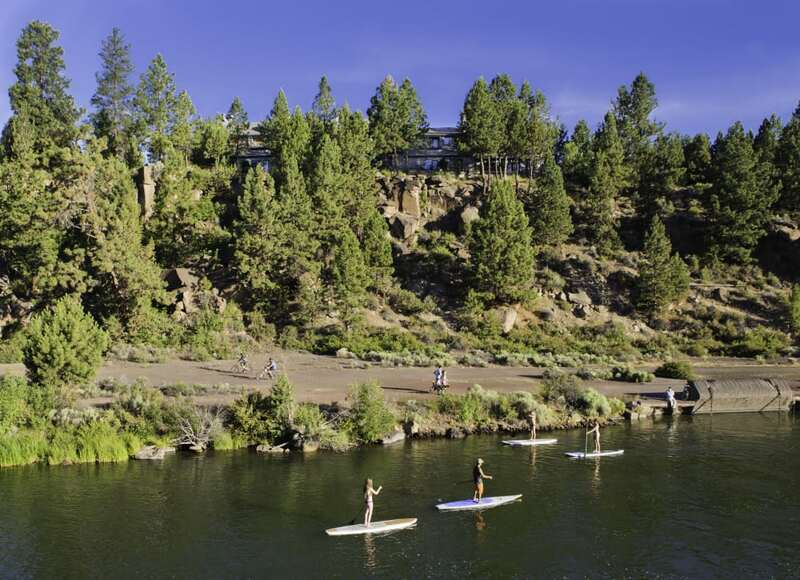 Today, those kids are moving to Bend, which is like Portland’s sunnier little sister. Nestled in the crook of the Cascades, it’s surrounded by all sorts of amazing recreational opportunities, from relaxing paddling trips to death-defying climbing ventures. Plus, it’s home to what’s officially the very last Blockbuster video! Click here to see RVshare rentals near Bend, Oregon. Although there’s plenty of beauty further inland, you can’t say you’ve been to Oregon until you’ve been to the Oregon Coast. We think you’ll agree it gives even California’s most famous shorelines a run for their money. Also, yes, this is where cult favorite The Goonies was filmed, though some of the most iconic scenes take place a little bit further south, on Cannon Beach. 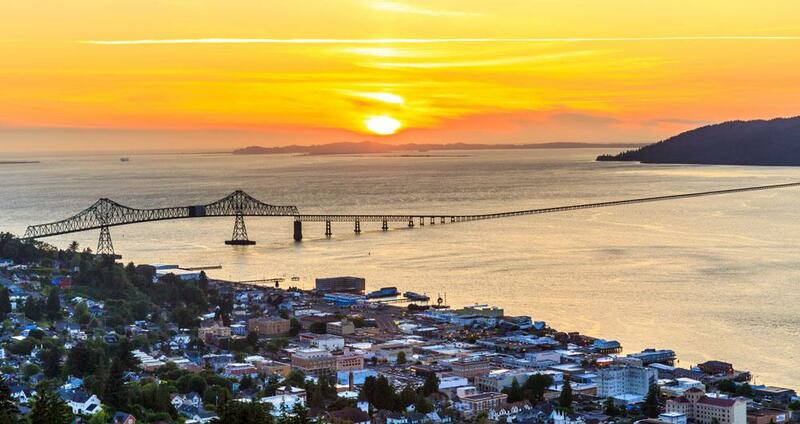 Click here to see RVshare rentals near Astoria, Oregon. Not only is it one of the most beautiful beaches in the world, it’s also one of the most iconic. Where else can you see those towering boulders spotting a beautiful stretch of Pacific-washed sand? 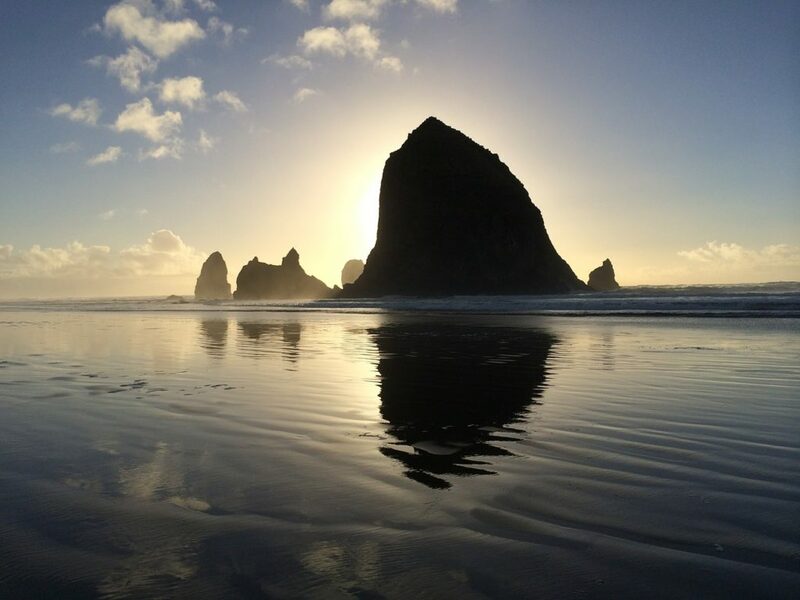 Snap an Instagram selfie with Haystack Rock before turning your attention downward to the smaller stones that line the dunes and tide pools. Agate hunting is a popular Oregon coast pastime, and you’ll soon learn exactly how rewarding it can be for yourself! But as confusing as its name may be to say out loud, this little town is the absolute picture of Oregon charm — and it’s also within close proximity to some of the most intriguing geological formations along the coastline. Take the 1,100-foot climb to the top of Cape Perpetua for a hike you’ll long remember both for its challenge and its payoff. The view from the top is absolutely stunning — and a good introduction to how you’ll spend the rest of your time in the area. After you’ve gotten acquainted with the birds-eye view, head back down to see the surroundings on a more granular level. This landscape is studded with the unique consequences of an ocean smashing ashore for thousands and thousands of years, leaving behind strange formations with even stranger names, like Thors Well and Devils Churn. End the day with a well-deserved meal of delicious, fresh seafood in one of the area’s quaint bars or eateries. A favorite of mine: The Drift Inn, which offers both a restaurant and a range of affordable lodging, from hostel-style singles to full-service apartments. Fortunately, this mode of travel is super-popular in the Pacific Northwest, which means Oregon is chock-a-block full of amazing campgrounds to choose from. Want to Save on Oregon RV Parks? When you’re camping in Oregon — or anywhere, for that matter — saving money is probably a priority. After all, most of us don’t have limitless travel budgets, and the money you spend on necessities like gas and food is money you can’t spend on other fun stuff you want to do during your vacation. There are plenty of ways to save money on the road, several of which we’ve written about before. But one of our favorite suggestions, for its sheer easiness? 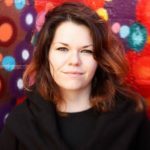 Buying a Passport America membership. Passport America is a discount camping club that gets you 50% off your campsite accommodation fees at almost 1900 campgrounds across the country, including many in Oregon. For an annual membership fee of less than $50, you’ll get half off your campsite accommodation fees right off the bat… and considering that some resort-style campgrounds fetch as much as $100 a night or even more during high-traffic seasons, it’s easy to see how quickly the membership pays for itself! Click here to learn more about Passport America or purchase your own membership today. We can’t wait to learn more about your Oregon adventures — and possibly to share them with other campers like you! Tag us in your social media posts so we can live vicariously through your stories and pictures… and we may even share them on our own Facebook or Instagram!